At the time of writing, the world’s largest coin is selling for $3,287 USD. Ripple and Ethereum, the second and third largest cryptocurrencies by market value, have also declined in the last 24 hours. 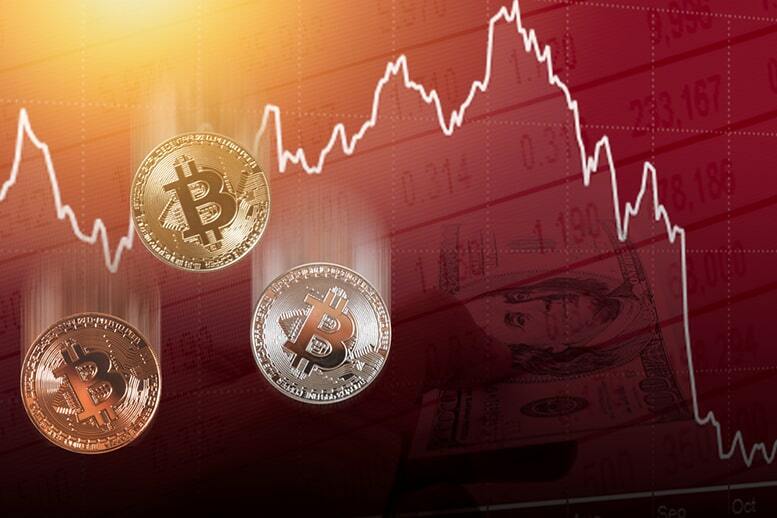 And the losses are great; XRP fell 10.16% and Ethereum an even bigger 15.56% according to Coinmarketcap.com. The market has been in the midst of a general bearish trend that began in November. It seems that the general feeling out there is a negative one and it doesn’t seem to be letting up anytime soon. The crypto industry has seen its entire market cap drop almost 86.92% from its highs in January. It has been a particularly tough year. Despite the figures, there has been news this week that could help to lift spirits and change sentiment, depending on how you look at it. The SEC has announced that it has changed the rules so as to allow a longer decision period for a Bitcoin ETF. The current ETF in question is the VanEck SolidX Bitcoin Trust. This is VanEck’s third attempt to create a Bitcoin ETF. The SEC is now delaying its decision on this until February 29th, 2018. So you can believe it is extending the decision period because it can’t decide on a nay or a yay. That the SEC is very close to saying yes but needs more time. Or, you can believe it is just playing on the hopes of investors and making the let down even more drawn out. What do you think?